Today, the 6th April 2017, the way the government funds apprenticeships changes. The Apprenticeship Levy must be paid if you’re an employer with a pay bill of over £3 million each year. This is paid via your PAYE process to HMRC and the funds to pay for apprenticeship training will be accessed through a digital account system. Organisations are paying this Levy regardless of whether they intend on offering apprenticeships or not. 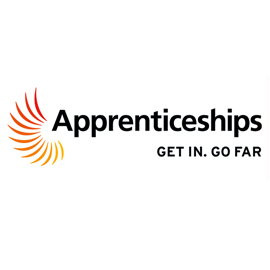 Recently the National Apprenticeship Week Survey sent to Public sector organisations including the NHS, Police and Local Government unearthed some interesting findings when they answered questions around how they value apprenticeships and how the upcoming Apprenticeship Levy might affect their organisation. Both public and private sectors have some real opportunities to employ and develop their staff. Already 1000’s of businesses around the country are taking on apprentices giving them the opportunity to provide training that is tailored to the needs and requirements of their business. We have the knowledge, skills and experience to help make the transition as smooth as possible. Rove work with both public and private sectors and whatever your need, we are equipped to provide support at every step of the process. Simply fill out our enquiry form and we will be in touch to help you get started.